Thank you and congratulations to all of our House Captains and volunteers who worked on National Rebuilding Day and the days and weeks surrounding April 28th. With the support of over 650 community members, 29 low-income families and non-profit organizations that house and serve vulnerable populations in our area are now safer and healthier places to live. 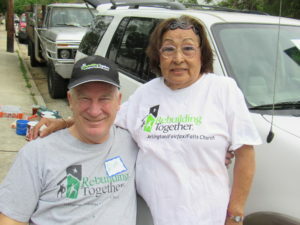 It’s amazing to see so many people working together on National Rebuilding Day, helping their neighbors remain in their homes by making critical repairs like building new and stable steps with hand rails, fixing plumbing leaks, modifying bathrooms for wheelchair users, replacing windows to make homes safer and more energy efficient and so much more. 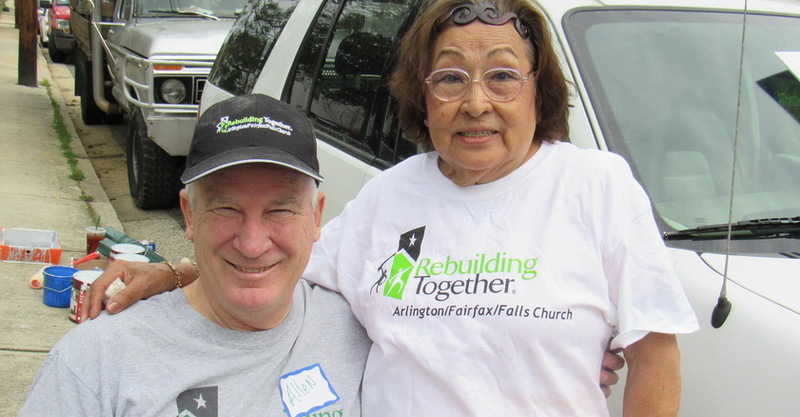 We are grateful to the women and men who led the National Rebuilding Day teams and spent countless hours planning the repairs, coaching the teams and sweating the details. We’ve uploaded lots of great pictures to the RT-AFF Flickr. The smiles captured in the pictures are a fantastic reminder of how much this day means to volunteers and homeowners alike. We are extremely thankful to our volunteers, partners and sponsors for making National Rebuilding Day 2018 a huge success! Annandale Christian Community for Action: Annandale United Methodist Church, Holy Spirit Catholic Church, John Calvin Presbyterian, Church, LDS Church, Annandale Stake, Lincolnia Methodist Church, Peace Lutheran Church, Providence Presbyterian, Queen of Apostles Catholic Church, Ravensworth Baptist Church, St. Barnabas Episcopal Church. Check out the RT-AFF Flickr for lots of pictures from National Rebuilding Day.